There are many famous ramen restaurants around JR Kyoto station. 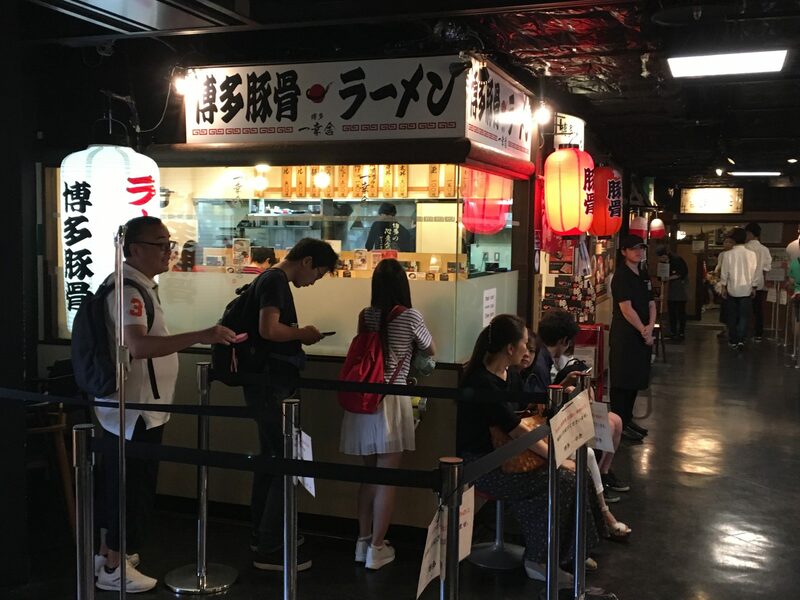 There is even the ramen street called “Kyoto ramen Koji” in the Kyoto station building where serve the different ramen styles from all over Japan. If you drop by JR Kyoto station and have a craving for ramen, try these 5 ramen restaurants below! I would like to introduce you Top 5 best ramen restaurants around JR Kyoto station. Ebisu is conveniently located 3 minutes walk from JR Kyoto station. The soup was made by carefully simmered chicken bones and pork bones for a long period of time,then seasoned with their original soy sauce. They also offer spicy ramen, so you should give it a try if you like a spicy ramen. It is not too hot so I think anyone can enjoy it. Everything ingredients are blended well,which make a mild flavor. 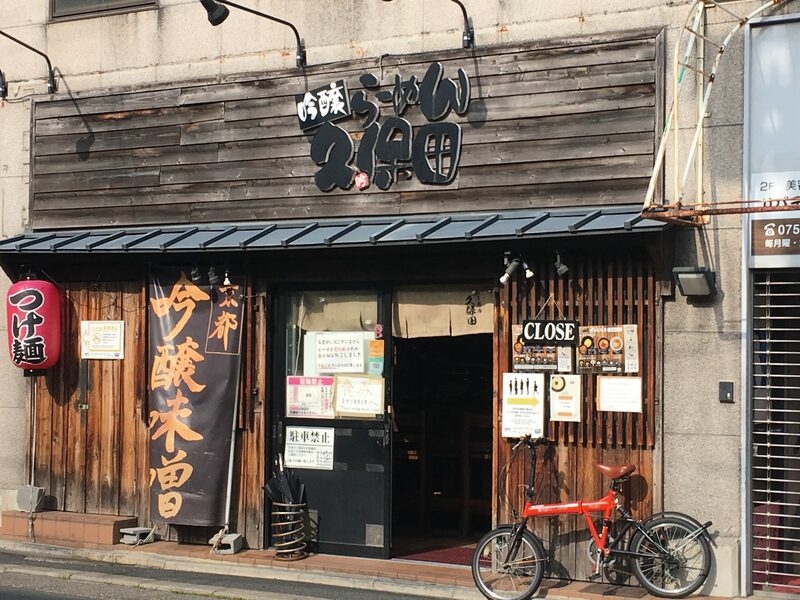 This restaurant is popular among locals and not well known by foreign tourists compare to Takabashi Daiichiasahi ramen restaurant. The great ramen with friendly service is also on point. Ginjo Ramen Kubota is located 13 minutes walk from JR Kyoto station. It is famous for its Tsukemen(a cold noodle that you dip in a broth) with miso and seafood broth. The taste of the miso broth is very thick, but has a strong flavor of the ingredients and is also a little sweet at the same time. 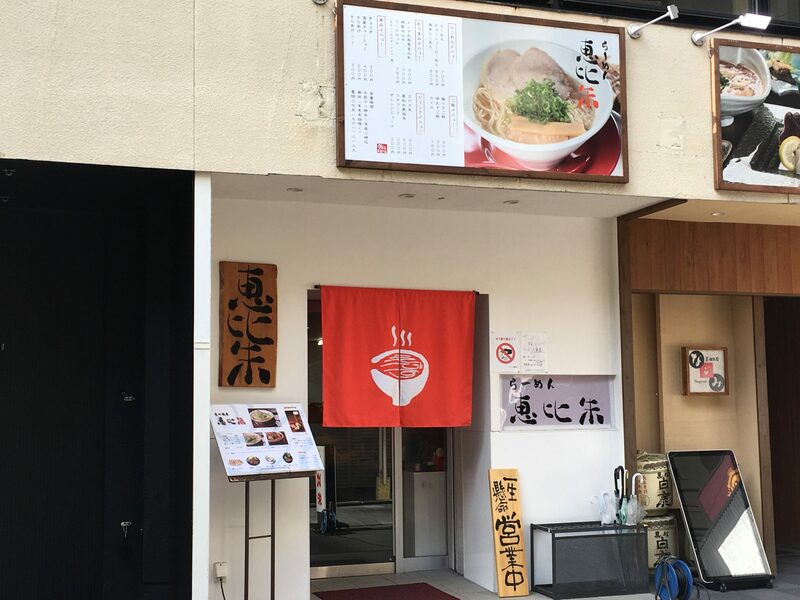 It is famous for it’s miso tsukemen but they also offer a variety of ramen ranging from nikumiso ramen(miso ramen with minced meat) to Tonkotsu ramen. Their ramen broth is made from carefully selected original miso with seafood flavor. The miso broth is thick and mild,a little bit chilly which is very tasty. It go well with the thin straight noodle, and also mix easily with the them. If you are still hungry after eating the ramen and have some soup left, you can buy noodle refill for 150 yen paying straight at the counter. You can enjoy delicious ramen till you’re full! You need to walk about 13 minutes from JR Kyoto station, plus you have to wait in the line but it’s definitely worth it. Next I will introduce you two popular ramen restaurants at the ramen street on the 10th floor of the JR Kyoto station building. There are 9 ramen shops from all over Japan here.It’s exciting place for ramen lovers! 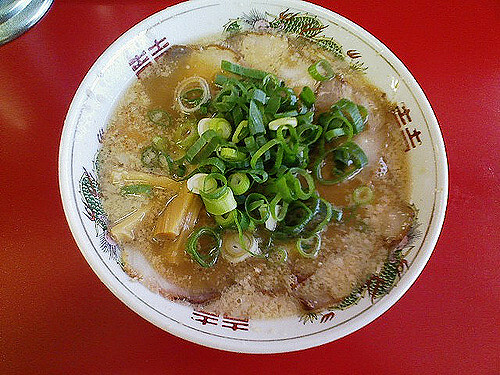 Hakata Ikkousha is the busiest ramen restaurants among 9 of them at ramen street Koji. 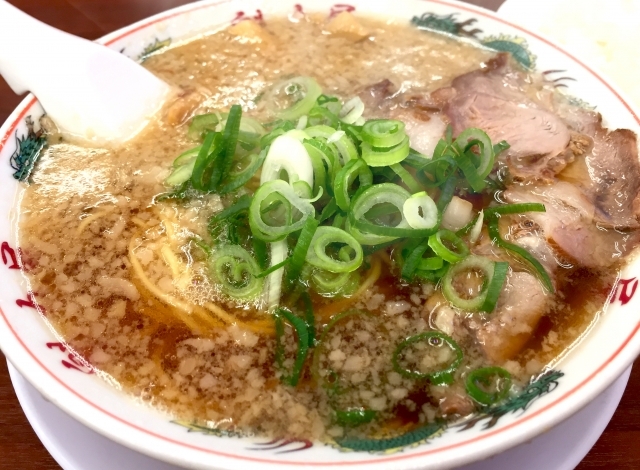 They serve the authentic hakata ramen made with a rich white pork soup and thin ramen noodles. The thick and creamy soup was made out of simmering a huge amount of pork bones for a long period of time. After the soup is simmered, they mix it with 3 types of soy sauce, 20 kinds of seasoning and 5 kinds of rare seafood. This original broth goes well with their thin long noodles. There were many pieces of chashu on the ramen noodles. If you want to eat authentic hakata tonkotsu ramen, you should give it a try at Ikkousha Hakata Ramen. Masutani is also located at the ramen Koji on the 10th floor of the JR Kyoto station building. 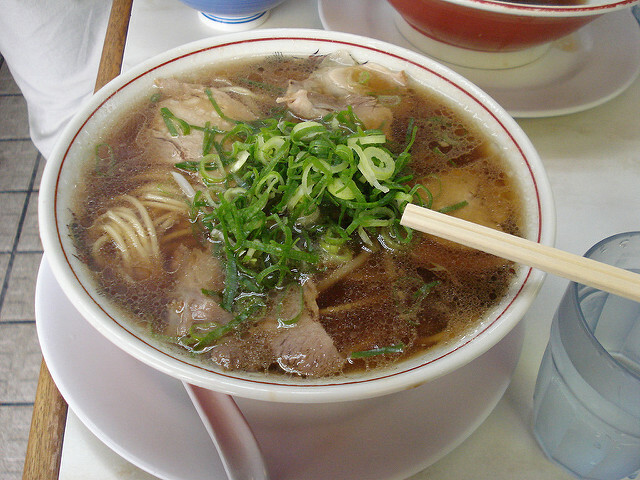 The broth is made from condensed chicken and Tonkotsu bones using a lots of pork back-fat with thick soy sauce. The mild chicken flavor broth is just the right thickness that’s not too strong but is quite flavorful,which goes well with straight noodles. They offer ramen with chashu, soft-boiled egg, bamboo shoots, and seaweed. If your drink up (almost) every last drop, you’ll notice that message is written at the bottom of the bowl. I think personal preference for ramen varies. As I mentioned above there are 9 ramen restaurants at ramen Koji street so just look around and pick one that looks good for you. I hope you enjoy the ramen when you come to JR Kyoto station! Top 10 Must-Eat Foods ranking in Kyoto!Enjoy Local Specialties!